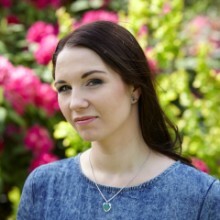 Kasia Rokicka – a singer/songwriter and a producer. Her music escapes classification and finds its place somewhere close to acoustic pop or smooth jazz. 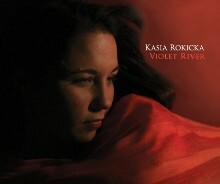 In her songs Rokicka blends jazz harmonies, the rhythms of world music poetry and memorable melodies. She combines gentle arrangements and warm acoustic timbre with energetic emotional expression and soulful interpretation. Rokicka is a Berklee College of Music graduate. She's performed in Poland and abroad. Her songs for children "Dobre Dobranoc" ("Un Sogno Nel Cielo") as well as "Świat Pełen Bajek" have been appreciated at the International Children's Dance and Song Festival in Konin as well as at Zecchino D'Oro del Antoniano in Italy. Recently, Kasia has been working on her second album “Songs of Inner Peace” as well as singing for children in a project titled Strefa Dzieci.